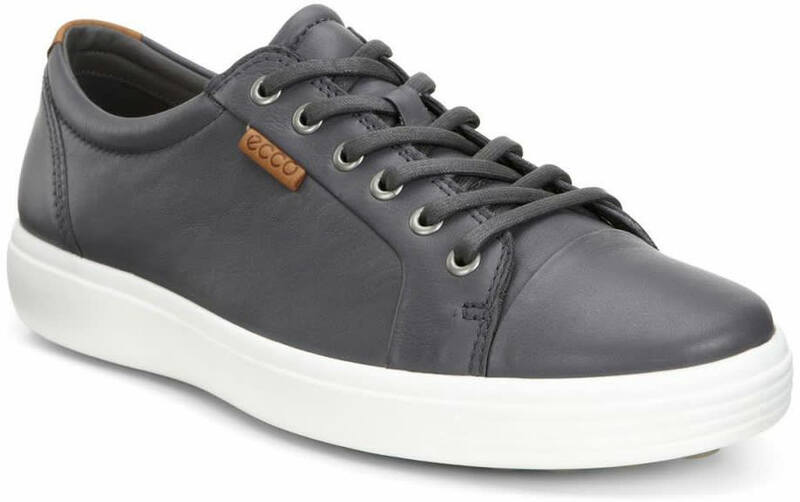 Walk softly with the Soft 7 Sneaker Shoes from ECCO. 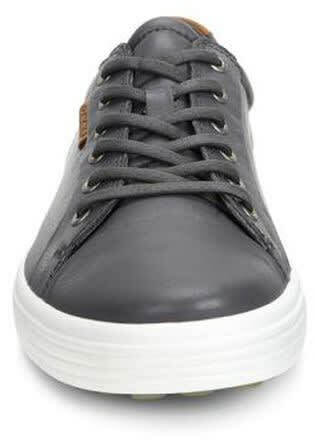 These men's sneakers feature a smooth profile with clean lines in grey or dark red for a look that combines sophisticated style with all-out comfort. Full anatomical last shape provides a supremely comfortable fit while rich full-grain leather and suede ensure they are super lightweight and soft to the touch. An EVA midsole cradles each foot for maximum comfort while direct-injected PU outsoles keep your feet safe from the ground below. These shoes are designed to resist wear and tear all year long. Standard lace closure lets you find the perfect fit every time you put them on. 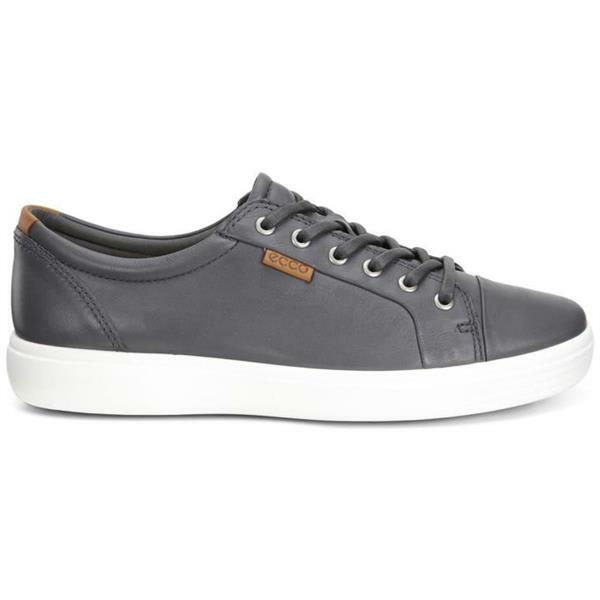 Whether you're off to class or the office, these stylish casual ECCO men's sneakers are just what you need to stay on your feet. Just love this shoe. I have wide fit and by taking out the inner sole it allows for a more comfortable fit. I wore the last pair for at least a year. They were showing it at the end, but I would still give these to somebody who needed a pair of shoes. This is the second pair of exactly these type of shoes for me. They fit precisely the same way, they have the same good arch support, without being overly hard on my genetically flat feet. The leather is a great quality – you can keep it looking good with the clear polish, or find one that matches this color. The only thing I do not care for about the shoes is that it is almost impossible to clean the white soles when they get stained. And they get dirty from anything. Otherwise, I am a 5’10” human being and let’s just say that I’m not skinny. I wore the last pair for at least a year, and although they were showing it at the end, I would still give these to somebody who needed a pair of shoes and they would last them a considerable amount of time even after my wearing-I really only needed to replace them because I needed a little bit more arch support, and I need to look a little more presentable for my job, which I wear them to every day..They are great shoes, and if you can get them at this price, they’re a bargain. Very comfortable. Leather a little vulnerable to scratches. 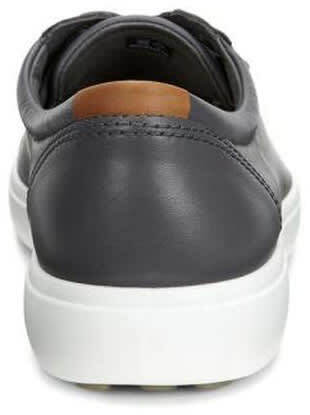 These shoes do not come in a wide width.